This has been an extraordinary 48 hours at the 2018 Global Anglican Future Conference. Arriving in Israel yesterday was deeply moving. Driving along the motorway in the coach, I had the strange experience of being in a country that was at once strange and very familiar, as I was able to spot the biblical place names on road signs- Modin, Kiriath Jearim and so on. After arriving at my hotel, I left my things there and walked straight in to the old city. I had to pinch myself as I walked through the Jaffa Gate, down the narrow streets that are almost like tunnelsz and then to the Church of the Holy Sepulchre. The queue was too long to get into the tomb- another visit there tomorrow- so on to the Western Wall, to pray for the Jewish people. 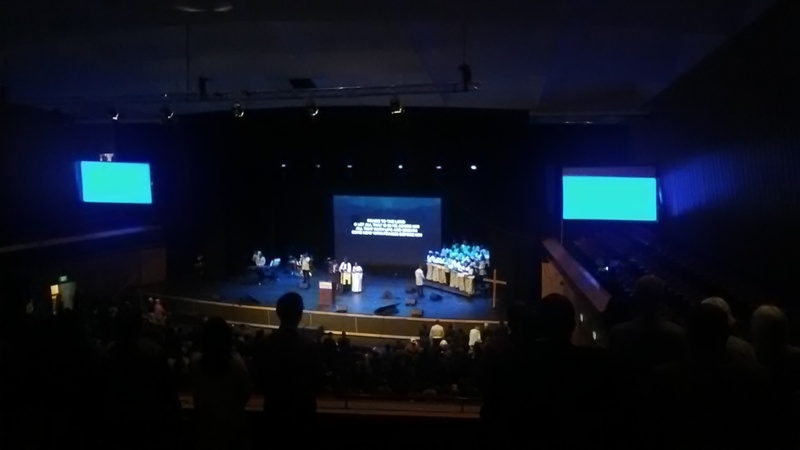 We heard the chairman of Gafcon, Archbishop Nicholas Okoh of Nigeria give the keynote address from Romans 1:1 on the Gospel of God, and I went to a fascinating seminar on “Engaging with Islam”, again led by a Nigerian bishop who is himself a convert from Islam. And most of all we met each other: strangers from many different countries united by Gospel of God. We will proclaim Christ faithfully- to the nations! To which only the “Amens” of our African brothers and sisters can do justice.